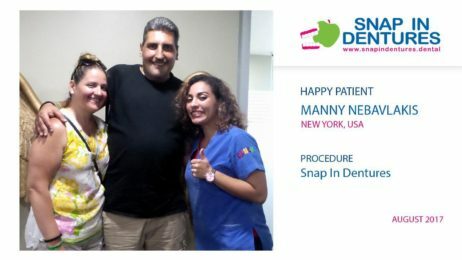 We want to thank our patient Manny, from New York, who came for his new Snap in Dentures while having vacations in Sunny Cancun! 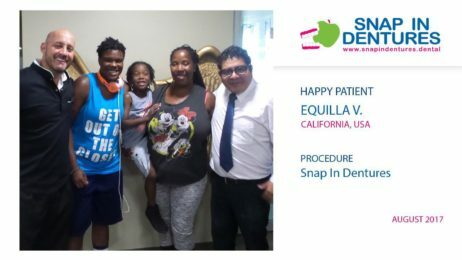 We want to thank our dear patient Equilla from California who trusted us to help her with Snap in Dentures. She came to the beautiful beaches in Cancun to get the procedure done under the supervision of Doctor Cesar Ibañez and Doctor Wendy Sainz.